MITCH TULLOCH is Senior Editor of WServerNews, a newsletter published by TechGenix Ltd. that goes out each week to over 500,000 IT professionals around the world. Mitch is a widely recognized expert on Windows Server and cloud technologies who has written numerous articles and whitepapers and has authored or been Series Editor of more than 50 books for Microsoft Press. He was also a recipient of Microsoft's Most Valuable Professional (MVP) award for 12 years in a row. INGRID TULLOCH is Associate Editor for WServerNews and manages research and operations for our IT content development business. 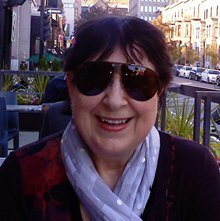 Ingrid was also co-author of the Microsoft Encyclopedia of Networking from Microsoft Press and helped develop content for courses on organizational security, network security, risk assessment/management, and business contingency planning for a Masters of Business Administration (MBA) program. WServerNews is a weekly newsletter from TechGenix that is focused on the administration, management and security of the Windows Server platform in particular and cloud solutions in general. WServerNews is geared toward keeping you up-to-date on the latest cloud solutions, server technologies, IT best practices, third-party tools, security issues, and other topics relevant to both in-the-trenches IT pros and those who manage the business end of IT. With over 500,000 subscribers worldwide, WServerNews is the largest newsletter of its kind in the world! FitITproNews is a new weekly newsletter from TechGenix devoted to helping IT professionals lose weight and become fit. In each issue well-known Microsoft Press author and former "fat IT pro" Mitch Tulloch offers up an assortment of tips, news, stories, interviews, and fun stuff designed to help IT pros transform their busy, sedentary lives through daily exercise and good nutrition. FitITProNews was launched in September 2017 and goes out each week to over 500,000 IT pros around the world! Real fitness for real IT pros! Written by experts at Microsoft with the help of Series Editor Mitch Tulloch, these free ebooks from Microsoft Press provide organizations with expert guidance on how to plan, deploy and utilize Microsoft System Center for managing both on-premise and cloud solutions. Download them today in PDF, EPUB or MOBI format from the Microsoft Virtual Academy. 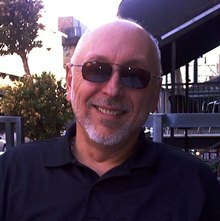 Mitch has written more than a thousand articles to help IT pros deploy, configure, secure, manage, maintain and troubleshoot Windows servers and client computers. He has also written articles on Hyper-V and VMware virtualization and on cloud computing platforms like Microsoft Azure and Amazon Web Services. You can find Mitch's articles in his section on Techgenix.com. 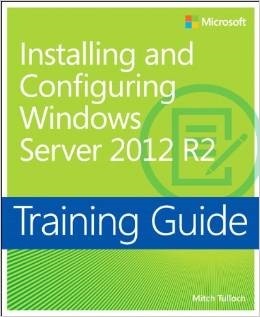 Training Guide: Installing and Configuring Windows Server 2012 R2 is designed to help enterprise administrators develop real-world, job-role-specific skills, this Microsoft Press title focuses on the topics of deploying and managing core infrastructure services in Windows Server 2012 R2. © 2019 by MTIT.com. All site content is presented "as is" with no warranties and confers no rights.